The season is too young for me to be happy to have an off-day to regroup. 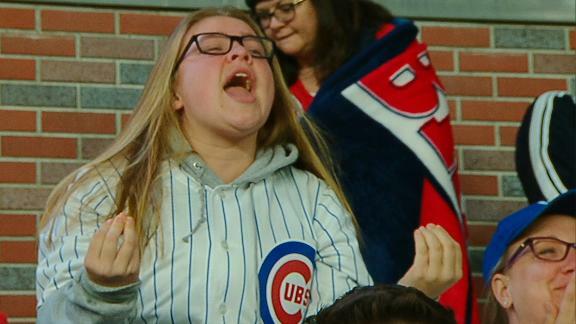 The Cubs are a mere four games in, yet many fans are beginning to question whether or not this team has what it takes to get to the post-season. “There’s no need to panic,” you might say. “This team is just shaking off some rust.” Shaking off rust is what spring training is for. There really isn’t any excuse for what occurred on that field in Atlanta last night. I can live with the lack of hitting every now and then. Sometimes the bats don’t show up. You know what should never happen? A team making six errors, and leaving their pitcher out to dry inning after inning. The boys seem to be pressing out there. For some reason, there appears to be some added pressure on the north siders, and this has manifested into poor focus on the field in the most routine of situations. That’s the only explanation I can come up with, because for the life of me I can’t recall a time Anthony Rizzo ever pulling a Lester and tossing the ball into the dugout. To quote one of my most loathed athletes in the history of the world, Aaron Rodgers, “relax”. Don’t fret, fans. This team is capable of great things. They just need to lock in, and do their job. They aren’t going to win the World Series the first week of the season. Stop playing with so much pressure, and just go out there and have fun. The wins will follow. Next When Exactly Is It Okay To Panic?